Vada Webb Sheid was the first woman to be elected to both the Arkansas House and the Arkansas Senate. She was also the first woman in the Arkansas Senate who did not first succeed a husband. Born in 1916 in Izard County, she grew up there. After graduating in high school in 1934, she attended classes in Little Rock at Draughon School of Business before returning to Izard County. In 1940, she married Carl Sheid. Over the next few years they lived in Mountain Home, El Dorado, and Little Rock before returning to Mountain Home after World War II. After an earlier unsuccessful race for Baxter County Treasurer in 1958, Vada Sheid was elected to the position in 1960 and served until 1965. In 1966, she was elected to the Arkansas House of Representatives. She was one of four women in the House during her first term. Vada Sheid served in the Arkansas House through 1976. That year, she was elected to the Arkansas State Senate. 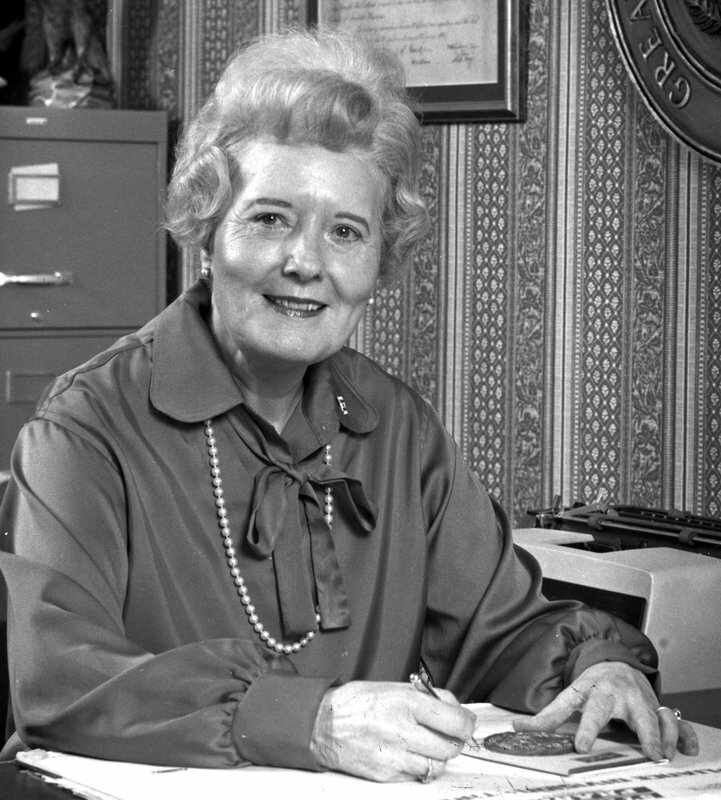 She served as a State Senator from 1977 to 1985. Defeated in a bid for a third term, she was later appointed to the Arkansas State Police Commission. In 1993, she was returned to the Arkansas House in a special election and served until January 1995. During her service in the Arkansas General Assembly, public works and higher education projects were a major focus. She championed the construction of a bridge across Norfolk Lake as well as many other river bridges and highways in North Central Arkansas. She also pushed through the bills to establish the Mountain Home campus of Arkansas State University as well as what is now known as North Arkansas College in Harrison. Though a staunch Democrat, she worked across the aisle to get projects completed. Her work on the Norfolk Lake bridge required lobbying of both Gov. Rockefeller and President NIxon. Vada Webb Sheid died in 2008, but her legacy lives on. This entry was posted in Government, History and tagged Arkansas General Assembly, Arkansas House of Representatives, Arkansas State Senate, El Dorado, Little Rock, Mountain Home, Richard M. Nixon, Vada Webb Sheid, Winthrop Rockefeller, Women's History Month by Scott. Bookmark the permalink.